It smells like the spice from southeast Asia. It is the curry! 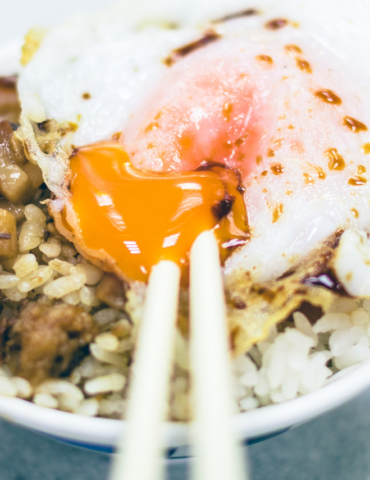 Is that the braised pork rice with curry, or the curry rice that has the braised pork rice? It is sticky as if you just kiss a girl that put on the lip balm. However, the price of NT$20 for a small bowl is still not reasonable! 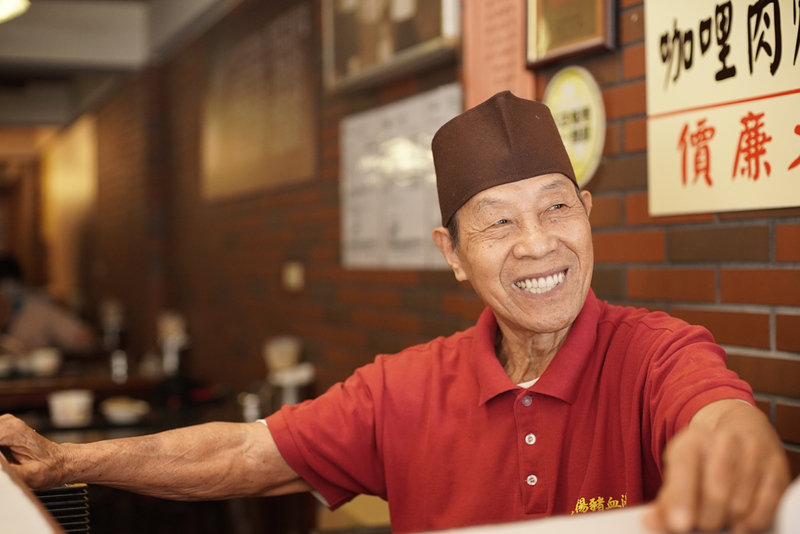 Walking along the Changji Street, if you happened to encounter A-Yang sitting in the front desk and you two have eye contact, he will give you an 85-year-old charming smile with confidence, and greet you with Taiwanese accent Chinese, “Welcome! Enjoy our delicious food. It is traditional type!”And if you have a small talk with him, he might sing you Japanese songs. The 11th of every month, the bloodmobile at the Dalong Street and Jiuquan Street, around the Dalongdong Bao’an Temple, is waiting for kind blood donors. Therefore, I always have the devout feeling that “donating blood for good deeds and having soup for good health” when I go to donate blood. Walking along the Dalong street heading south to the Changji street, and you will find A-Yang. 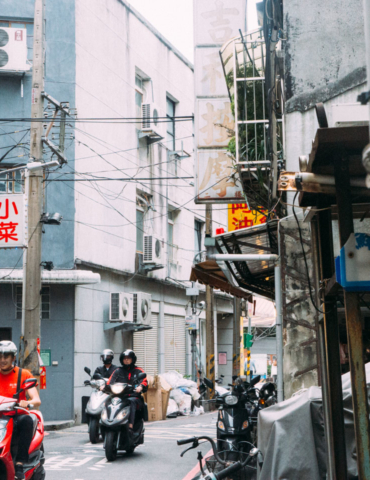 Along the Dalong street to the Changji street, on the left-hand side is the Lanzhou Market; on the right-hand side, pass the Stewed Eel and the fruits stand, the third shop is the A-Yang Pork Blood Soup. Across the shop is another one that serves pork blood soup, called Red Changji. You might be curious that two pork blood soup stands on the same street might be against each other, aren’t they? 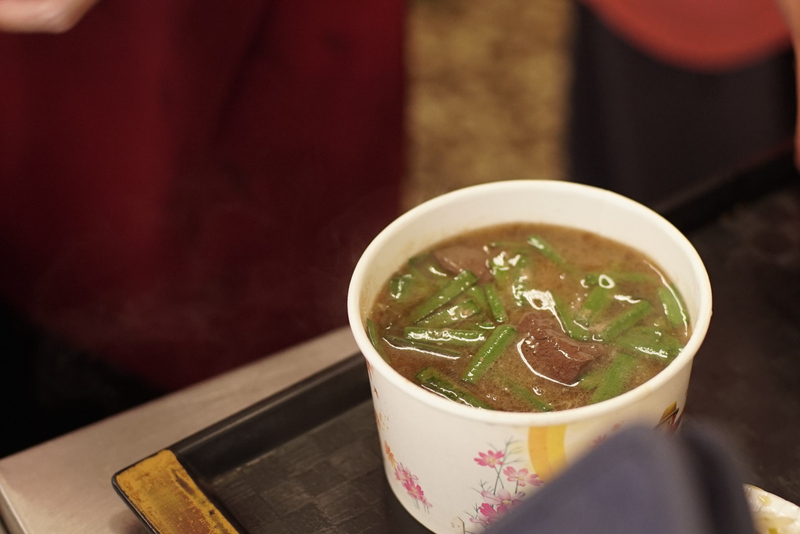 In fact, there is story about the pork blood soup in the Changji Street area. “When you pass through the slaughterhouse and hear the cattle’s whining, close your eyes and put your hands at the back as if being tied, showing that there is nothing you can do, so that the St. Peter will not blame you for not saving the livestock,”said the parents to their children that live around the slaughterhouse. In 1913, the Japanese found the paddy field that closed to the Tamsui River and they establish the livestock market and the slaughterhouse. That is the origin of the name “pig slaughterhouse” of around the Changji and Dalong street that used to be called. 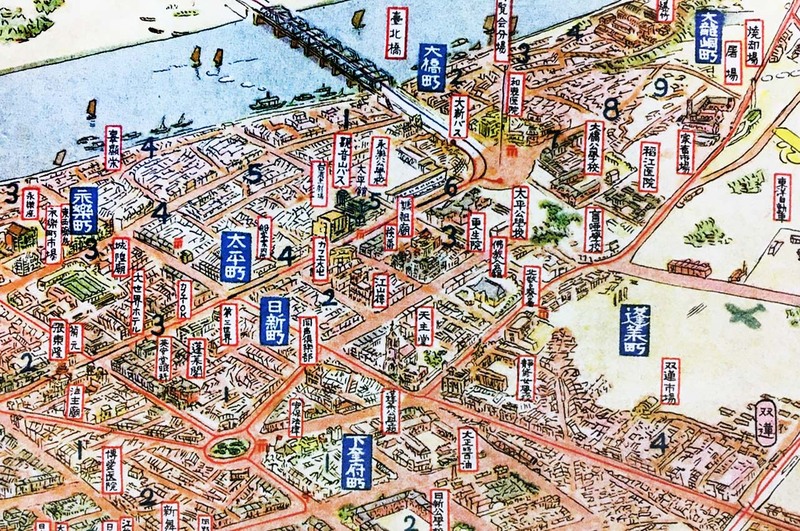 Looking at the Overlook of Taipei painted by Ookubo Shirou, I thought of the scene that people and goods circulating in Taiheimachi (now Yanping North Road), from the suburban area to the Hōraichō (now Shuanglian market) on the southeast and the Dadaocheng on the southwest (now Yongle Market). 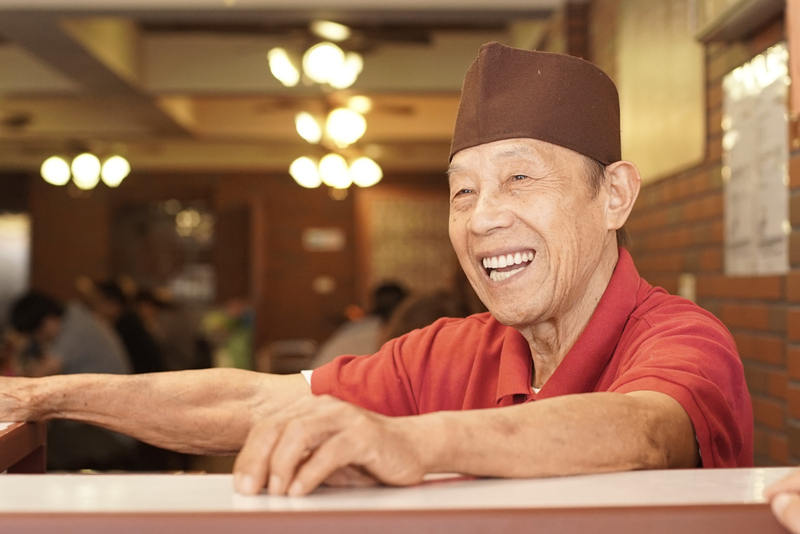 A-Yang was born in 1933 and has started his own business at age 36. 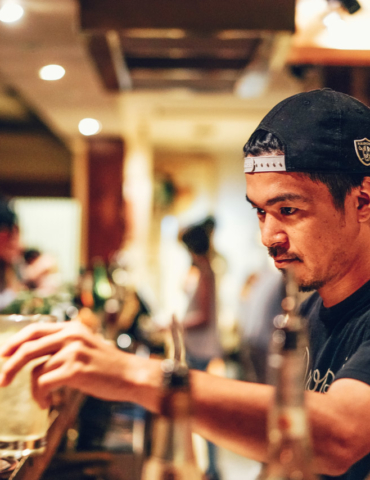 His family worked in the slaughterhouse so that A-Yang could get the ingredient directly. That is one of the reasons why his pork blood is fresh and tasty. 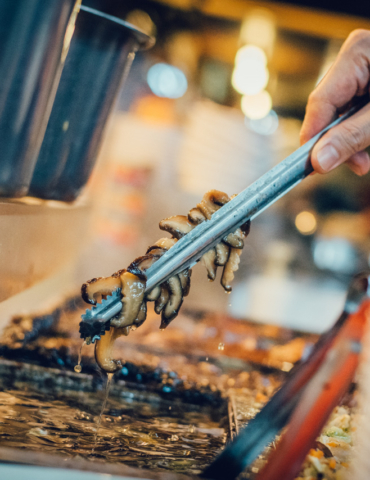 It was heard that when he served pork blood soup in the Yangsan night market, there were people queuing even before the stand was ready. A-Yang did not start his business in the old pork slaughterhouse till 1982. But later due to the hard labor working for years, A-Yang closed up for a long time and then reopened the store in 2011 at Changji Street. 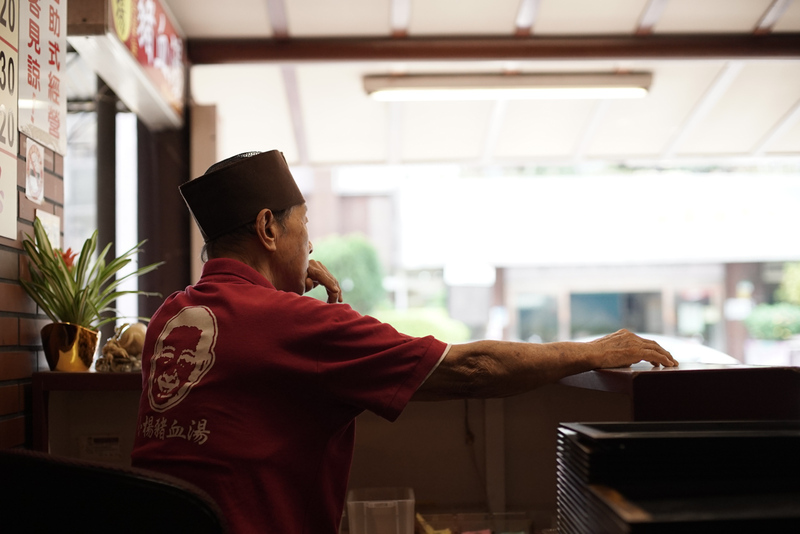 When you visit A-Yang’ pork blood, you need to order the meal with the Old Mr. Yang at the counter on your right-hand side. You will get a receipt that looks like a food ticket. Then you turn to the lady on the other side of the store to get the food. 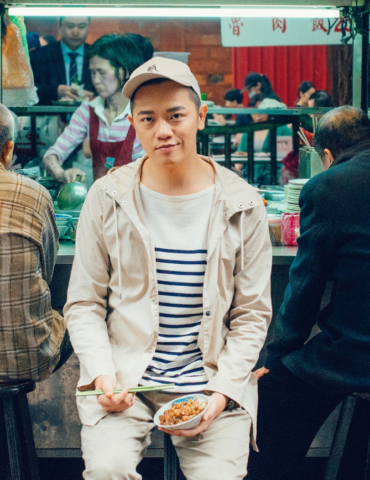 There are not many options, just fried rice noodles, pork blood soup, and the braised minced pork rice. The Chinese Confucian philosopher, Xun Kuang, once said the idea that when you concentrate on something and work hard on it, you will succeed in the end. A-Yang understands and agreeds with him. However, the prices of under NT$30 are just incredibly low. 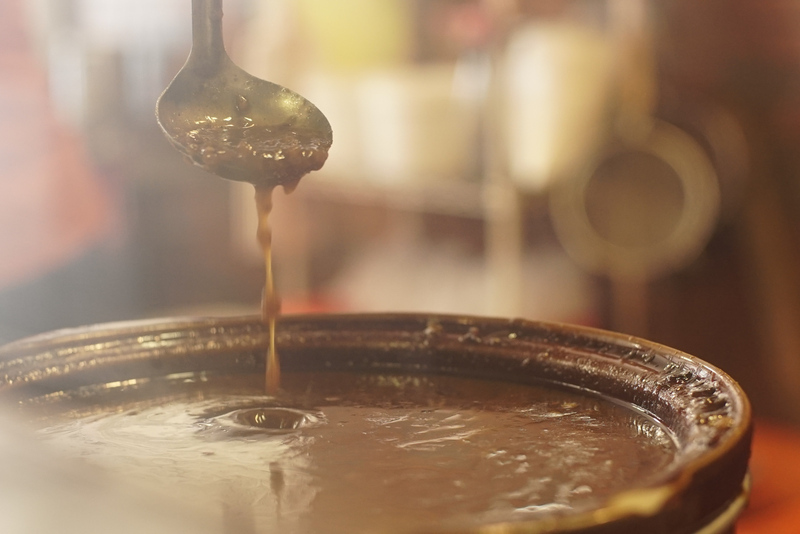 It is not to difficult to realize that almost all the customers order the pork blood soup. The soup has the good smell of Shacha sauce and the pork blood looks like the egg tofu in red. 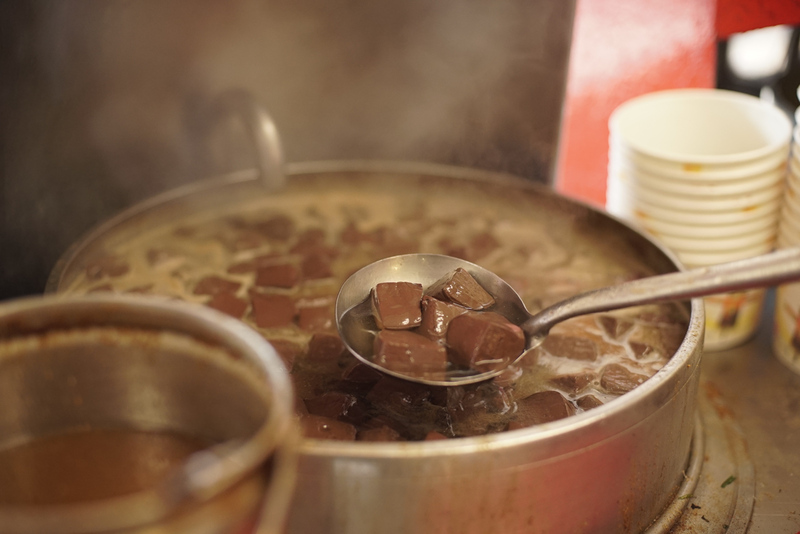 Many foreigners are terrified when hearing the name of “pig-blood-soup,” which is on the list of Taiwanese top 10 devil’s food. However, instead of imaging have the blood soup like a vampire, it is actually more appealing to imagine having the exquisite blood tofu soup as if they are ice cubes in red. 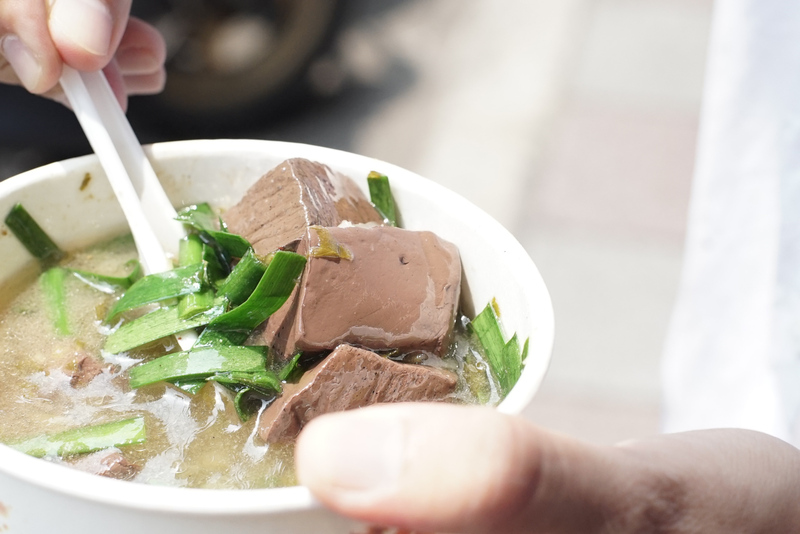 In fact, there are several countries that use pork blood in their traditional cuisines such as Germany, Italy and other European countries but there are few young generations that dare to try the pork blood soup unless they are really open-minded travelers. I enjoy more when seeing the expressions of the Americans and Canadians who treasure their lives, that show the regrets of not trying earlier after they get over the cultural differences and realize the taste of the pork blood. 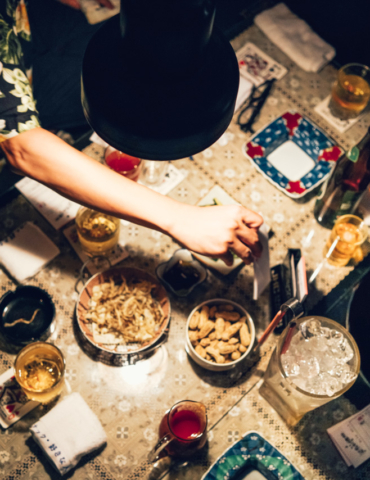 Let’s come back to the pork blood soup. There are plenty leeks and pickled cabbage in the soup. But due to my personal light flavor preference recently, I do not have the Shacha sauce added. But whether with the Shacha sauce or not, the price of NT$30 is just way too cheap. When taking the fried rice noodles from the counter, I saw the lady spreading meat sauce on top. 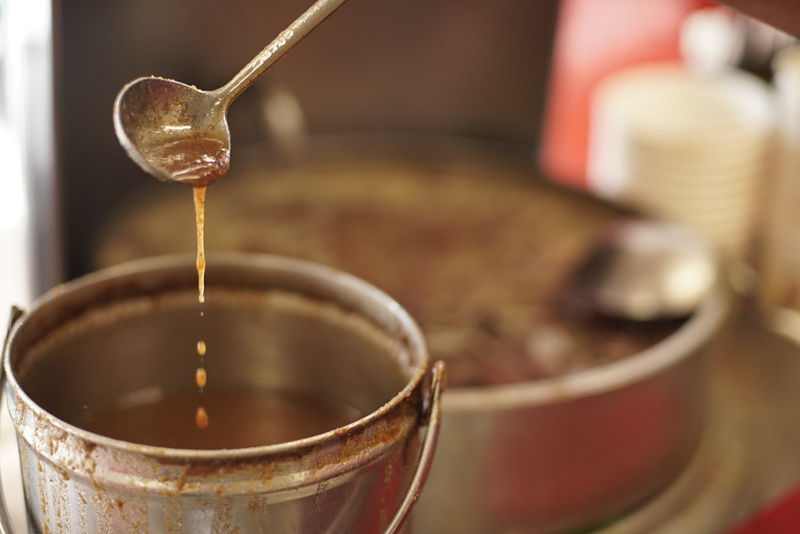 The sauce is separated from the braised minced pork meat, and there is no meat to be seen. 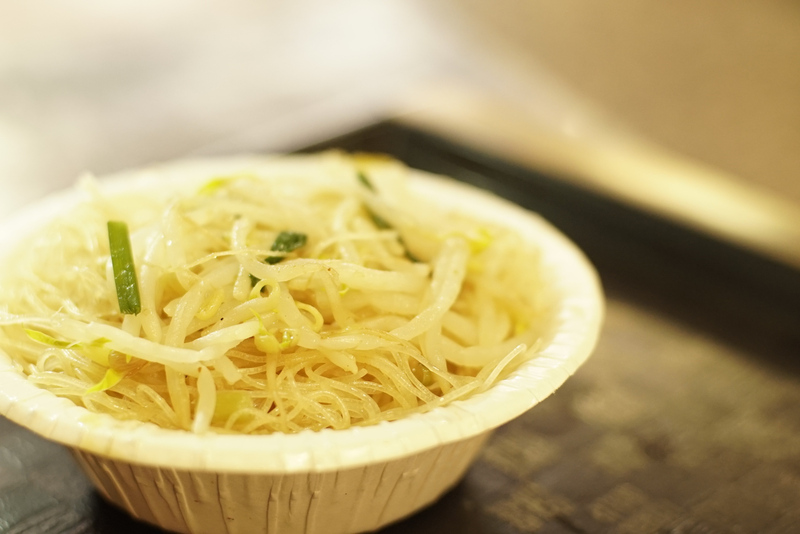 The fried rice noodle looks plain except the pea sprout and the leek that decorated a bit. Add a spoon of chili sauce that looks hot and seems like hand-made and mix with the noodles, making sure that the noodles absorb the meat sauce before eating them.The seafood taste is just awesome. 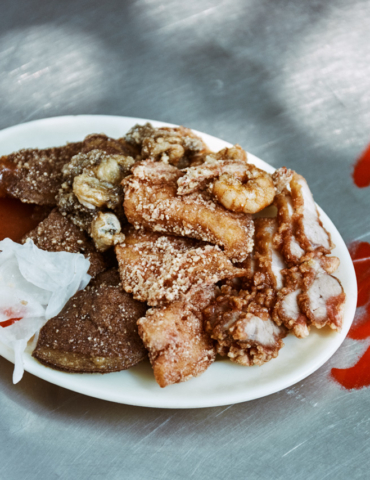 Though you do not see the dragon flying or the shiny ocean like the animation always exaggerate, you still wonder where does the seafood-like taste come from. It is also incredible that it costs just NT$20. 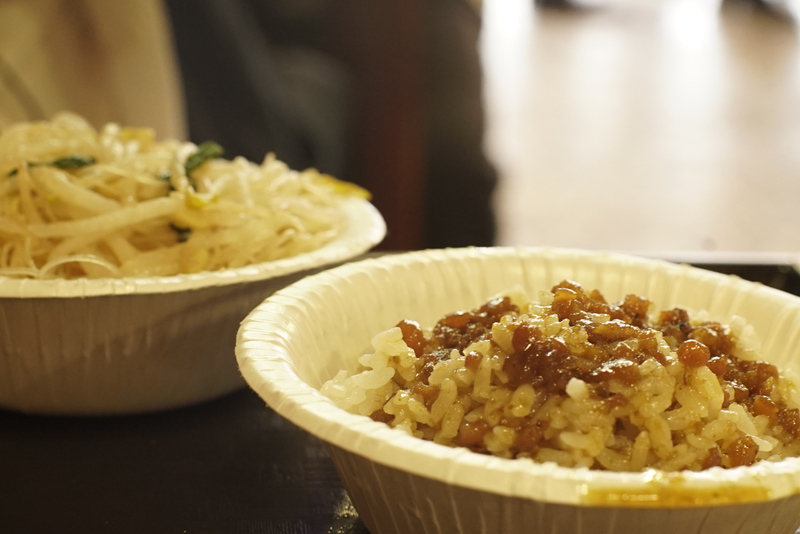 Then, what about the braised minced pork rice at A-Yang’s? The one that the middle age man next table has does not have greasy meat, but some minced meant. It is thick and juicy. 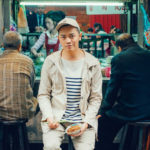 I realized the insistance and the dilemma that many Taiwanese food stands have after interviewing the second generation of the A-Yang. 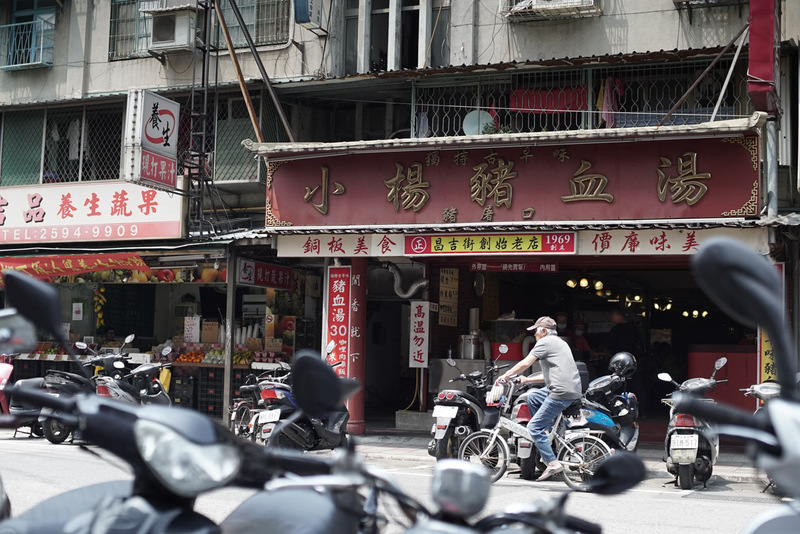 For the insistance, A-Yang purchases the pickled cabbage from Yunlin for the pork blood soup. The pickled cabbage needs to be fresh and without blackening. Therefore, the cost is higher than those in the same trade. 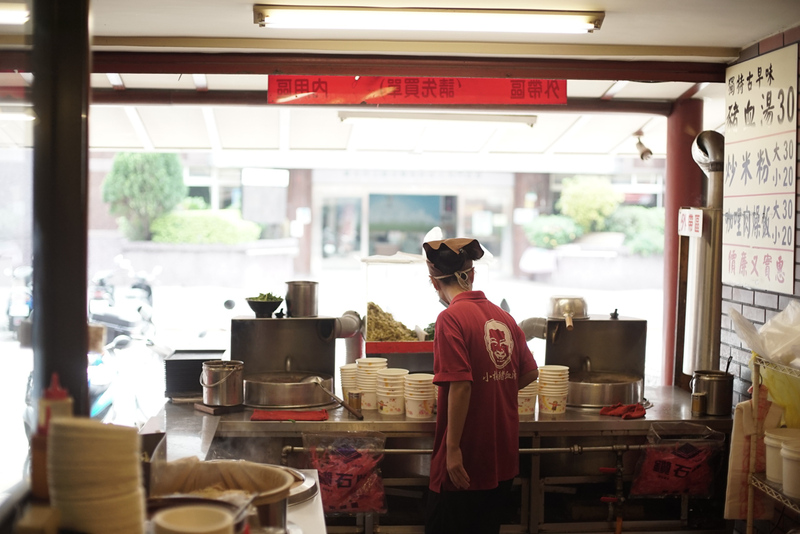 The Shacha sauce is provided by the only two traditional Shacha sauce providers in Taipei. 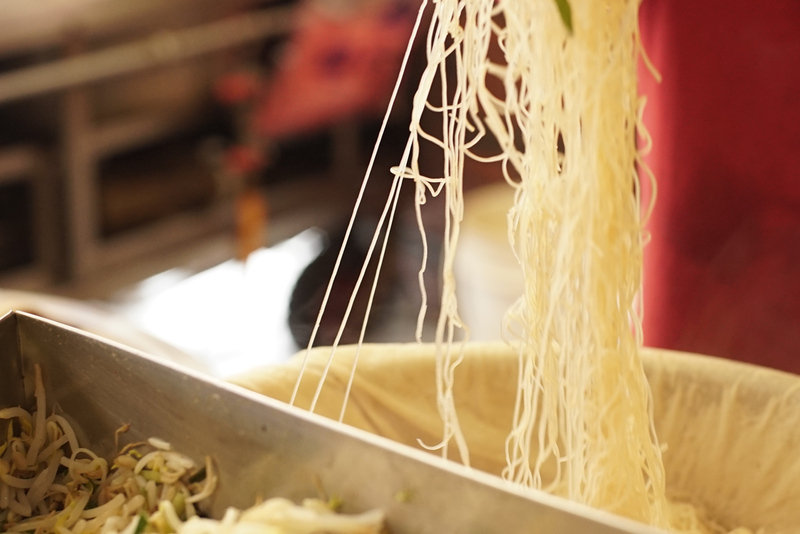 A-Yang also insists on using the broth that made with plenty of dried shrimps to immerse the rice noodles so that the noodles would soak the seafood taste. 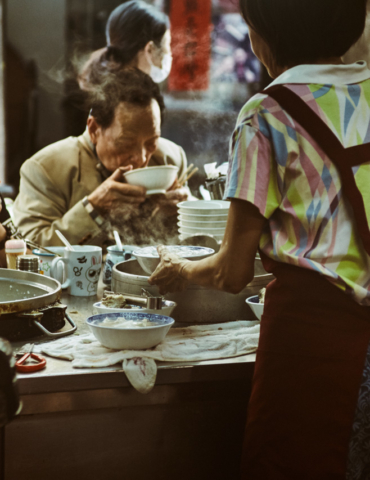 Because of the insistance, A-Yang sacrifices time for his family to take care of people’s stomach. On the other hand, the owner of the first generation had Japanese education which taught them to live a simple life and not to pursue more than one’s need. 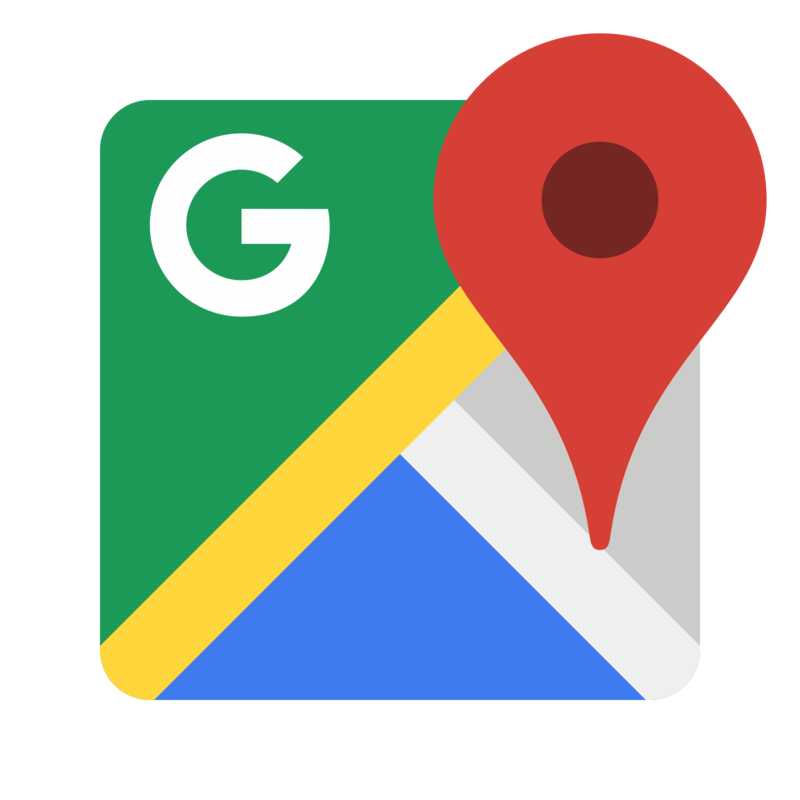 Therefore, A-Yang’s store takes good care of the old patrons and does not raise the price with the consideration that the young generation does not earn much. 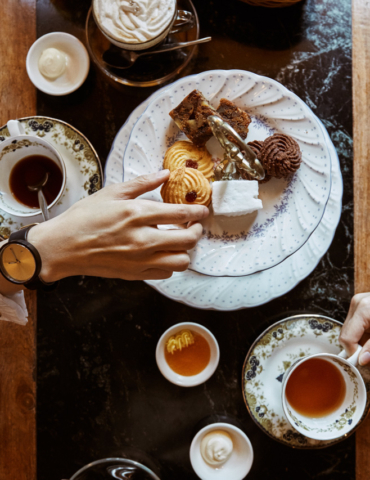 Due to the insistance of keeping the original price, A-Yang’s store need to grit the teeth of the ingredient costs that are getting higher. He said to himself, you are making money even just earning one cent. He teased that he is contributing in coins economy. From the name of the second generation, Yang Zong-Ru, meaning that follow the Confucianism, it shows the expectation from A-Yang on his son. However, the communication between father and son is always a tough task. Their insistance and concentration from the father’s generation can only be passed down with the innovation from the son’s generation and achieve the balance. I had the delicious food with gratitude and at the same time felt unbearable seeing the innocent muddleheaded father and son. 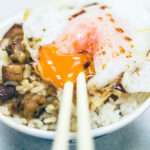 Maybe by serving economically “the curry braised minced pork rice with philosophy,” A-Yang has implemented the spirit of “do as hard as you can” that he learned from the Japanese education. 1.Caution for the hot soup. If you prefer light taste, the soup is still good without the Shacha sauce taste. 2.The sauce is underneath the fried rice noodle. Remember to stir thoroughly before eating. 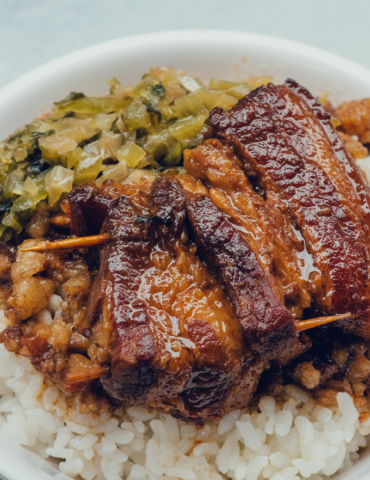 3.It is suggested to order the small bowl of braised pork rice first in case you can not stand the exessive amounts of minced pork and rice.